Friday night pizza is a family tradition at our house. We occasionally miss a week, but in general Friday dinner is pizza. I recently had a crazy busy Friday though and knew pizza was just not going to happen that night. I did not have time to make the dough and I did not have any made up ahead of time. Not wanting to disappoint my kids I knew I had to come up with something pizza like for dinner that they would enjoy. 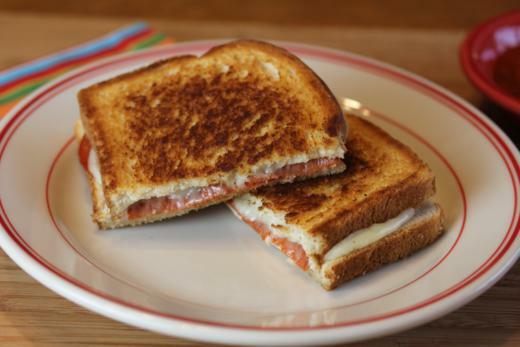 Grilled cheese sandwiches are a favorite of mine, so I thought why not make a pizza sandwich. I could easily use the flavors of pizza, but in a sandwich. I knew the kids would love it and it would save me a ton of time, which would give us a pizza night with the work of pizza. 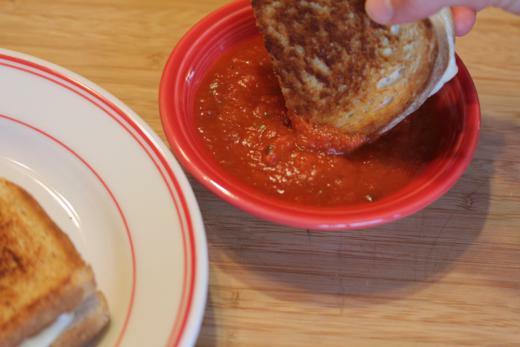 So, grilled pizza sandwiches were created. And my kids loved these. They will now be a regular meal at our house and will work perfectly for those busy Fridays that I do not have time to make regular pizza. I made these on my electric griddle, but you could easily make these as oven grilled cheese as well. If you have a weekly pizza night, I encourage you to give these a try. They are delicious and fun! Place on piece of provalone cheese, several pieces of pepperoni, and a piece of mozzarella cheese on each piece of bread. Top with another piece of bread and place buttered side down on hot griddle or pan. Cook for 3-4 minutes or until bread is golden brown and toasted. 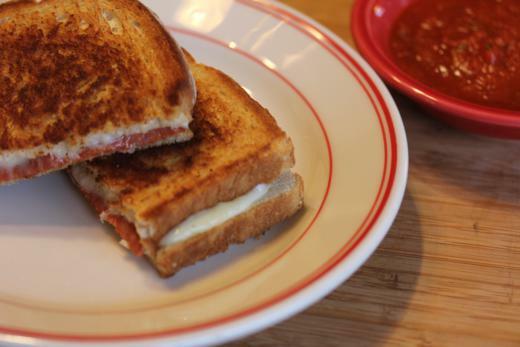 Flip sandwich over and cook a few more minutes or until cheese is melted and both sides are golden brown and toasted. Yum! We make a version here,too! How do you store the pizza dough that you make ahead? I often make it up in the morning and let it rise in the fridge all day. I bring it out a little bit before needing it and press it out cold. I let it warm up some, maybe 20 minutes or so before baking. I have baked the cold dough, but it does a little better closer to room temperature. It works great for busy days. Brilliant idea! 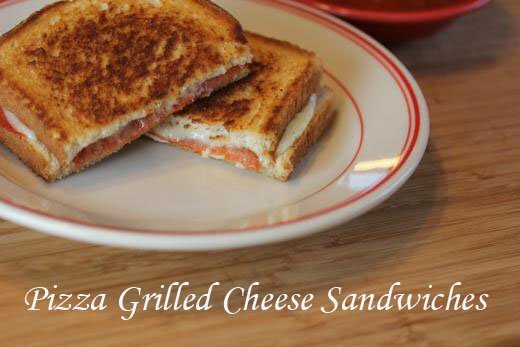 I make pizza quesadillas for my boys sometimes but never thought to make pizza grilled cheese. I’ll have to add this to my rotation of quick and easy dinners.